Tacky Jacks Orange Beach is on the water overlooking Cotton Bayou and the Perdido Pass bridge. We offer family-friendly, casual dining, serving breakfast, lunch and dinner daily. Come by land or by water and tie up at our dock. 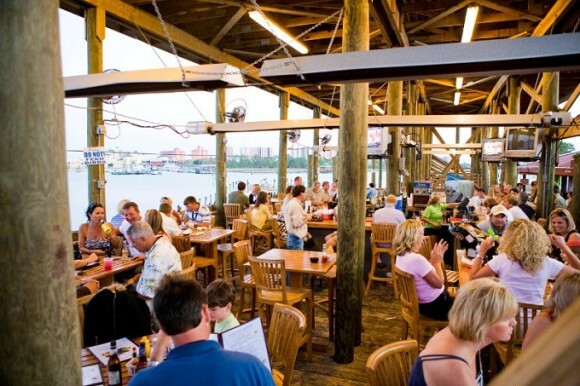 Enjoy your meal on one of our many outdoor decks and catch a stunning sunrise or dolphins frolicking in the water. Visit our gift shop for unique souvenirs. Watersport rentals and parasailing also available. Tacky Jacks has been a local favorite for 38 years.